Baule, W., Allred, B., Frankenberger, J., Gamble, D., Andresen, J., Gunn, K.M. and Brown, L. 2017. Northwest Ohio crop yield benefits of water capture and subirrigation based on future climate change projections. Agricultural Water Management. 189. 87-97. Buyukcangaz, H., D.D. Steele, S.R. Tuscherer, D.G. Hopkins, and X. Jia. 2017. Spatial mapping of evapotranspiration with METRIC to evaluate irrigation's effectiveness in flood mitigation for the Devils Lake basin. Transactions of the ASABE. 60(5). 1575-1591. Craft, K. J., M. J. Helmers, R. W. Malone, C. H.Pederson, and L. R. Schott. 2017. Effects of subsurface drainage systems on water and nitrogen footprints simulated with RZWQM2. Transactions of the ASABE. In Press. Habibullah, H., K.A. Nelson, and P.P. Motavalli. 2017. Assessing management of nitrapyrin with urea ammonium nitrate fertilizer on corn yield and soil nitrogen in a poorly-drained claypan soil. Journal of Agricultural Science. 9(11). 17-29. Jia, X., T. F. Scherer, D. D. Steele, and T. M. DeSutter. 2017. Subirrigation system performance and evaluation in the Red River Valley of the North. Applied Engineering in Agriculture. In Press. Khand, K., C. Hay, J. Kjaersgaard, and X. Jia. 2017. Estimating impacts of agricultural subsurface drainage on evapotranspiration using Landsat imagery-based METRIC model. Hydrology. 4(4). 49. Nash, P., K.A. Nelson, and P.P. Motavalli. 2015. Corn response to drainage and fertilizer on a poorly drained, river bottom soil. Agron. J. 107. 5 [1801-1808]. Nash, P., K. Nelson, and P. Motavalli. 2015. Reducing nitrogen loss with managed drainage and polymer-coated urea. J. Environ. Qual. 44.1 [256-264]. Nash, P.R., K.A. Nelson, P.P. Motavalli, M. Nathan, and C. Dudenhoeffer. 2015. Reducing phosphorus loss in tile water with managed drainage in a claypan soil. J. Environ. Qual. 44.2 [585-593]. Nash, P., P. Motavalli, K. Nelson, and R. Kremer. 2015. Ammonia and nitrous oxide gas loss with subsurface drainage and polymer-coated urea fertilizer in a poorly-drained soil. J. Soil Water Conserv. 70.4 [267-275]. Nash, P., K.A. Nelson, P.P. Motavalli, and R. Udawatta. 2017. Improved water management of a poorly-drained, floodplain soil and the impact on forage production and nitrate concentration. Journal of Soil and Water Conservation. 72 (6). 640-649. Nash, P.R., K.A. Nelson, P.P. Motavalli, and S.H. Anderson. 2015. Corn yield response to managed drainage and polymer-coated urea. Agron. J. 107.2 [435-441]. Negm, L.M., Youssef, M.A., Jaynes, D.B. 2017. 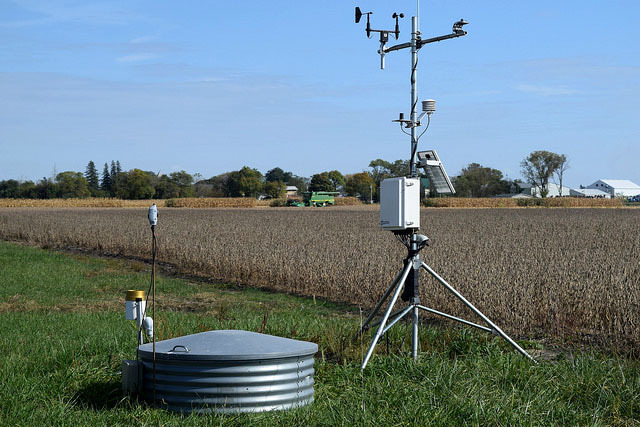 Evaluation of DRAINMOD-DSSAT simulated effects of controlled drainage on crop yield, water balance, and water quality for a corn-soybean cropping system in central Iowa. Agricultural Water Management. 187. 57-68. Nelson, K.A. 2017. Soybean yield variability of drainage and subirrigation systems in a claypan soil. Applied Engineering in Agriculture. In Press. Nelson, K.A., K.V. Tindall, J.A. J.A. Wrather, W.E. Stevens, and C.J. Dudenhoeffer. 2016. Value of an insecticide added to a fungicide application for soybean during drought conditions. Crop, Forage & Turfgrass Management. 2:1-6. Ross, J.A., M.E. Herbert, S.P. Sowa, J.R. Frankenberger, K.W. King, S.F. Christopher, J.L. Tank, J.G. Arnold, M.J. White, and H. Yen. 2016. A synthesis and comparative evaluation of factors influencing the effectiveness of drainage water management. Agr. Water Manage. 178 [366-376]. Saadat, S., Bowling, L., Frankenberger, J., & Brooks, K. 2017. Effects of Controlled Drainage on Water Table Recession Rate. Transactions of the ASABE. 60(3). 813-821. Saadat, S., L. Bowling, J. Frankenberger, and E. Kladivko. 2018. Estimating drain flow from measured water table depth in layered soils under free and controlled drainage. Journal of Hydrology. 556. 339-348. Strock, J.S., C. Hay, M.J. Helmers, K.A. Nelson, G.R. Sands, R.W. Skaggs, K.R. Douglas-Mankin. 2017. Advances in drainage: Select works from the 10th international drainage symposium. Transactions of the ASABE. In Press. Wamono, A., D. Steele, T. DeSutter, Z. Lin, X. Jia, and D. Clay. 2016. Gypsum lowers drawbar power in Northern Great Plains subsurface drained sodic soils. T. ASABE 59.6 [1661-1669]. Wamono, A., D. Steele, Z. Lin, T. DeSutter, X. Jia, and D. Clay. 2016. Effects of calcium based surface amendments on the penetration resistance of subsurface drained sodic soils. T. ASABE 59.4 [869-877]. Youssef, M., A. Abdelbaki, L. Negm, R.W. Skaggs, K. Thorp, and D. Jaynes. 2018. DRAINMOD-simulated performance of controlled drainage across the U.S. Midwest. Agricultural Water Management. 197. 54-66. Zurweller, B., P.P. Motavalli, K.A. Nelson, and C.J. Dudenhoeffer. 2015. Short-term soil nitrous oxide emissions as affected by enhanced efficiency nitrogen fertilizer and temporarily waterlogged conditions. J. Agric. Sci. 7.12 [1-14]. Hay, C. 2016. Chapter 31: Reducing Nitrate Losses from Drained Lands. In Clay, D.E., C.G. Carlson, S.A. Clay, and E. Byamukama (eds). iGrow Corn: Best Management Practices. South Dakota State University. Tuttle, S., E. Cho, P. Restrepo, X. Jia, C. Vuyovich, M. Cosh, and J. Jacobs. 2017. Remote sensing of drivers of spring snowmelt flooding in the North Central U.S. In Remote Sensing of Hydrological Extremes, Ed by Lakshmi. Springer International Publishing ISSN: 2198-0721. Abendroth, L. and D. Herzmann. Data Management for Drain & Retain Team. 2015 Transforming Drainage Annual Meeting. Ames, IA. Apr. 16, 2015. Frankenberger, J., B. Allred, D. Gamble, W.J. Baule, L. Brown. On-Farm Water Recycling as an Adaptation Strategy for Drained Agricultural Land. American Society of Agricultural and Biological Engineers First Climate Change Symposium –Adaptation and Mitigation. Chicago, IL. May 3, 2015. Frankenberger, J. Drainage Water Retention & Recycling to Increase Resiliency and Decrease Nutrient Losses. ASA-CSSA-SSSA International Meeting, ASA Section: Environmental Quality, Symposium-Reducing Nitrogen Loss through Subsurface Drainage: Practices, Efficiencies, and Impacts: II. Minneapolis, MN. Nov. 16, 2015. Frankenberger, J. Transforming Drainage: Retention and Recycling to Reduce Nutrient Losses. Healthy Soils for Healthy Waters Symposium, in conjunction with the Hypoxia Task Force Meeting. Columbus, Ohio. May 19, 2015. Hay, C. & Helmers, M. 2017. Evaluating benefits of drainage water recycling for crop production in Iowa. In C. N. Dunn & B. Van Weele (Eds. ), Proc. World Environmental and Water Resources Congress. Helmers, M.J. and G. Brenneman. 2016. Drainage design for improved profits and water quality. Proceedings of the 28th Annual Integrated Crop Management Conference. Ames, IA: Iowa State University. Jia, X. Drainage capture and use in the Red River Valley. NCERA-217 Meeting. Ames, IA. Jul. 15, 2015. Jia, X., T. F. Scherer, D. Steele, and T. M. DeSutter. Impact of controlled drainage on reducing nitrogen loss in the Red River Valley. ASA-CSSA-SSSA International Meeting, ASA Section: Environmental Quality, Symposium-Reducing Nitrogen Loss through Subsurface Drainage: Practices, Efficiencies, and Impacts: II. Minneapolis, MN. Nov. 16, 2015. Jia, X., T. Scherer, D. Steele, and T. DeSutter. 2016. Subirrigation System Performance and Evaluation in the Red River Valley of the North. 10th Int. Drainage Symp. St. Joseph, MI: ASABE. Nelson, K. Integrated Water Management Systems in Missouri. NCERA-217 Meeting. Ames, IA. Jul. 15, 2015. Nelson, K.A., P. Nash, P.P. Motavalli. Conservation drainage for improved water quality in Missouri. ASA-CSSA-SSSA. International Meeting, ASA Section: Environmental Quality, Symposium-Reducing Nitrogen Loss through Subsurface Drainage: Practices, Efficiencies, and Impacts: II. Minneapolis, MN. Nov. 16, 2015. Nelson, K. and C. Dudenhoeffer. 2016. Soybean grain yield variability associated with drainage and subirrigation systems in a claypan soil. 10th Int. Drainage Symp. St. Joseph, MI: ASABE. Reinhart, B., J. Frankenberger, L. Abendroth, L. Ahiablame, L. Bowling, L. Brown, M. Helmers, D. Jaynes, X. Jia, E. Kladivko, K. Nelson, J. Strock and M. Youssef. 2016. Drainage Water Storage for Improved Resiliency and Environmental Performance of Agricultural Landscapes. 10th Int. Drainage Symp. St. Joseph, MI: ASABE. Saadat, S., J. Frankenberger, and L. Bowling. 2016. Quantifying Nutrient Loads with Estimated Drain Flow Using Water Table Observations. 10th Int. Drainage Symp. St. Joseph, MI: ASABE. Strock, J.S., J. Magner, A. Garcia, B.J. Dalzell, T.P. Trooien, C. Hay, and G. Sands. Hydrologic impacts of agricultural drainage in the Upper Midwest, USA. ASA-CSSA-SSSA International Meeting, SSSA Division: Soil & Water Management & Conservation, Soil & Water Management & Conservation: II. Minneapolis, MN. Nov. 17, 2015. Wesslak, R. K. Nelson, and C. Dudenhoeffer. 2016. Spatial Response of Corn Yields to Drainage and Subirrigation Tile Spacings in a Claypan Soil. 10th Int. Drainage Symp. St. Joseph, MI: ASABE. Frankenberger, J. Transforming Drainage: Retaining Water for Increased Resiliency and Decreased Nitrate Losses. ASABE Annual International Meeting. Orlando, FL. July 2016. Frankenberger, J. and B. Reinhart. 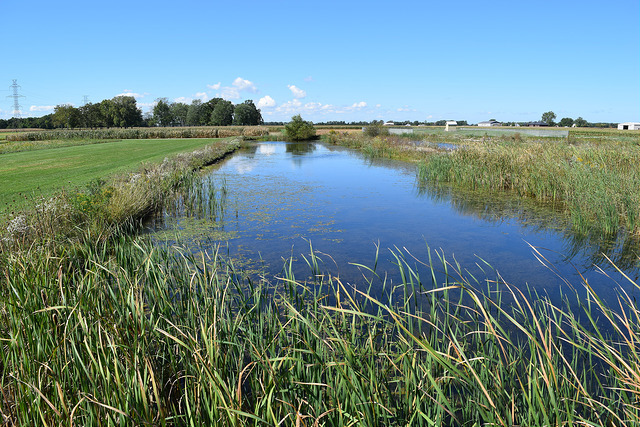 Drainage Water Recycling: Estimating Nutrient Loss Reduction for Various Pond Volumes. American Society of Agricultural and Biological Engineers Annual International Meeting. Spokane, WA. Jul. 19, 2017. Frankenberger, J. and C. Hay. Transforming Drainage: Strengthening the Network through Collaboration. North Central Region Water Network Conference. Lincoln, NE. Mar. 22, 2016. Frankenberger, J., B. Reinhart, L. Abendroth, L. Ahiablame, L. Bowling, L. Brown, M. Helmers, D. Jaynes, X. Jia, E. Kladivko, K. Nelson, J. Strock and M. Youssef. Managing Water for Increased Resiliency of Drained Agricultural Landscapes. USDA NIFA Project Directors meeting. Washington DC. Oct 12, 2016. Hay, C. Telling the story: Communications and outreach on agricultural drainage management systems at the Iowa Soybean Association. NCERA-217/ADMS Annual Meeting. Champaign, IL. Mar. 29 - 30, 2017. Hay, C. Conservation Drainage. Iowa Soil & Water Conservation Society Annual Meeting. Ankeny, IA. Oct. 21, 2016. Hay, C. Nitrogen Reduction Practices: Overview, Relative Performance, and Economic Considerations. Iowa Soybean Association Research Conference. Feb. 8, 2017. Hay, C. Transforming Drainage: Managing Water for Tomorrow's Agriculture. Iowa Soybean Association Research Conference. Feb. 8, 2017. Hay, C. & Helmers, M. Evaluating benefits of drainage water recycling for crop production in Iowa. 2017 NCERA-217/ADMS Annual Meeting. Champaign, IL. Mar. 29 - 30, 2017. Hay, C. & Helmers, M. Evaluating benefits of drainage water recycling for crop production in Iowa. ASCE World Environmental & Water Resources Congress Annual Meeting. Sacramento, CA. May 23, 2017. Hay, C. and R. Wolf. Iowa Nutrient Reduction Strategy: A coordination strategy for reducing nutrient loading and improving water quality. ASCE Quad Cities Section and SAME Rock Island Post Engineering Training Conference. Davenport, IA. Oct. 2016. Hay, C. H., Kiel, A., Seeman, A., & Kyveryga, P. Monitoring tile systems in Iowa: Overview and results. 10th International Drainage Symposium. Minneapolis, MN. Sep. 6-9, 2016. Moloney, C. and J. Frankenberger. Modification of SWAT tile drainage simulation and evaluation using measured tile flow. ASABE Annual International Meeting. Orlando, FL. July 2016. Nelson, K. Controlled Drainage and Subirrigation for Soybean Production. Iowa Soybean Association Research Conference. Feb. 8, 2017. Nelson, K. Drainage Water Recycling and Reuse. University of Missouri Crop Management Conference. Columbia, MO. Dec. 15-16, 2016. Niaghi, R. A., X. Jia., and T. F. Scherer. Impact of accurate evapotranspiration estimates on DRAINMOD simulation in North Dakota. ASABE Annual International Meeting. Spokane, WA. Jul. 16-19, 2017. Rashid Niaghi, A., and X. Jia. Determination of grass evapotranspiration rates and crop coefficients using eddy covariance method in eastern North Dakota. ASCE World Environmental & Water Resources Congress Annual Meeting. Sacramento, CA. May 21-25, 2017. Reinhart, B. and J. Frankenberger. Nutrient loss reduction potential of drainage water recycling systems in the Midwest based on pond size. Soil and Water Conservation Society 72nd International annual Conference. Madison, WI. Jul. 30-Aug. 2, 2017. Reinhart, B. and J. Frankenberger. Drainage Water Recycling Evaluation Tool: Estimating the potential benefits of DWR. 2017 Iowa-Minnesota Drainage Research Forum. Ames, IA. Nov. 15, 2017. Reinhart, B. and J. Frankenberger. Managing Water for Increased Resiliency of Drained Agricultural Landscapes. 2017 Iowa-Minnesota Drainage Research Forum. Ames, IA. Nov. 15, 2017. Saadat, S., J. Frankenberger, and L. Bowling. Nitrate and phosphorus losses from an agricultural drained field in Indiana under free and controlled tile drainage. ASABE Annual International Meeting. Orlando, FL. July 2016. Sahani, A., Ahiablame., L., Hay, C. Demonstration of Drainage Water Management in Eastern South Dakota. 2017 Western South Dakota Hydrology Conference. Rapid City, SD. Apr. 6, 2017. Smith, S.D. and L.C. Bowling. Seasonal Patterns in Water Quality in a Managed Wetland. Indiana Water Resources Association Conference. Turkey Run State Park, Marshall, IN. Jun. 28-30, 2017. Strock, J. Minnesota perspective on Conservation drainage. Iowa Soybean Association Research Conference. Des Moines, IA. Feb. 8, 2017. Strock, J. Impacts of subsurface drainage strategies on the fate of water in the upper Midwest. Minnesota Water Resources Conference. St. Paul, MN. Sep. 17-18, 2017. Strock, J. Nitrogen cycle and soil water balance components for continuous corn in southwest Minnesota. Nitrogen: Minnesota’s Grand Challenge & Compelling Opportunity, 3rd Annual Conference. Mankato, MN. Feb. 16, 2017. Strock, J. Nitrogen budget components for continuous corn in the Northern Corn Belt. ASA-CSSA-SSSA International Meeting. Tampa, FL. Oct. 25, 2017. Strock, J. Effect of drainage water management strategy on corn and soybean roots. ASA-CSSA-SSSA International Meeting. Tampa, FL. Oct. 25, 2017. Strock, J. and B. Hicks. Establishment of a drainage water recycling system. 2017 Iowa-Minnesota Drainage Research Forum. Ames, IA. Nov. 15, 2017. Strock, J. and B. Hicks. Minnesota Perspective on Conservation Drainage. Iowa Soybean Association Research Conference. Feb. 8, 2017. Chighladze, G., L.J. Abendroth, and D. Herzmann. Transforming Drainage research database: Spatio-temporal variability. 2017 NCERA-217/ADMS Annual Meeting. Champaign, IL. Mar. 29 - 30, 2017. Jia, X., G. Peterson, D. Wiesenborn, and S. Bajwa. Peer mentoring for first year undergraduate students in ABEN and ASM programs. ASABE Annual International Meeting. Orlando, FL. July 2016. Lee, C. and L.C. Bowling. Modeling regional water deficit and drainage water availability for evaluating the feasibility of Drainage Water Recycling. 2017 NCERA-217/ADMS Annual Meeting. Champaign, IL. Mar. 29 - 30, 2017. Locker, A., J. Frankenberger, and L. Bowling. Impact of Controlled Drainage on Crop Yields. 2017 Davis Purdue Agricultural Center Drainage Field Day. Farmland, IN. Jun. 7-8, 2017. Locker, A., J. Frankenberger, L. Bowling, E. Kladivko. Impact of Controlled Drainage on Corn Yield in Dry and Wet Years. 2017 NCERA-217/ADMS Annual Meeting. Champaign, IL. Mar. 29 - 30, 2017. Nelson, K.A., and M.P.M. Mayola. Corn response to drainage water recycling in a blackoar silt loam. ASA-CSSA-SSSA International Meeting. Tampa, FL. Oct. 25, 2017. Reinhart, B. and J. Frankenberger. Advancing drainage water storage to improve the resiliency and environmental performance of drained agricultural lands. Soil and Water Conservation Society 72nd International annual Conference. Madison, WI. Jul. 30-Aug. 2, 2017. Saadat, S., J. Frankenberger, and L. Bowling. Understanding and evaluating hydrological and environmental impacts of controlled drainage at the field scale using observations and simulated data. 4th Annual ABE Industrial Research Symposium. West Lafayette, IN. Feb. 16, 2017. Saadat, S., J. Frankenberger, and L. Bowling. Impacts of Controlled Drainage using DRAINMOD. American Geophysical Union Annual Meeting. New Orleans LA. Dec. 11-15, 2017. Saadat, S., J. Frankenberger, L. Bowling, and E. Kladivko. Water quality impacts of controlled drainage. 2017 Davis Purdue Agricultural Center Drainage Field Day. Farmland, IN. Jun. 7-8, 2017. Saadat, S., J. Frankenberger, L. Bowling, and E. Kladivko. Controlled drainage effects on annual drain flow and nutrient losses. 2017 NCERA-217/ADMS Annual Meeting. Champaign, IL. Mar. 29 - 30, 2017. Schwaegler, K., L.J. Abendroth, G. Chighladze, M. Helmers, and D.E. Herzmann. Spatial variability in nitrate load in the corn belt. 2017 NCERA-217/ADMS Annual Meeting. Champaign, IL. Mar. 29 - 30, 2017. Smith, S., and L.C. Bowling. Evaluating Management Options for a Restored Wetland Using VIC. 2017 NCERA-217/ADMS Annual Meeting. Champaign, IL. Mar. 29 - 30, 2017. Brooks, F. 2016. Development of an Approximate DRAINMOD-based tool to Estimate Annual Drainage Flow and Nitrate Loading for Drained Cropland in Midwestern United States. M.S. Thesis. North Carolina State University. Raleigh, NC. Kolars, K. 2015. Incorporation of subsurface drainage and subirrigation into the Checkbook Method. M.S. Thesis. North Dakota State University, Department of Agricultural and Biosystems Engineering. Fargo, ND. Smith, S.D. 2015. Evaluating management options: simulating wetland process and performance of nutrient reduction by use of a water quality algorithm. M.S. Thesis. Purdue University. West Lafayette, IN. Frankenberger, J. B. Reinhart, K. Nelson, L Bowling, C. Hay, M. Youssef, J. Strock, X. Jia, M. Helmers, and B. Allred. 2017. Questions and Answers About Drainage Water Recycling in the Midwest. Purdue University Extension. West Lafayette, IN. Kalwar, N., T. DeSutter, D. Franzen and C. Augustin. 2016. SF 1809 Soil Testing Unproductive Areas. North Dakota State University Extension Service. Fargo, ND. Frankenberger, J. 12 Years of Drainage Water Management Research at DPAC. 2017 Davis Purdue Agriculture Center Drainage Field Day. Farmland, IN. Jun. 7, 2017. Frankenberger, J. Transforming Drainage: Retaining Water for Increased Resiliency. Carroll County (IN) Extension Workshop. Feb. 16, 2017. Frankenberger, J. Recycling Drainage Water for Crop and Water Quality Benefits. China Academy of Agricultural Sciences. Beijing, China. Nov. 3, 2017. Frankenberger, J. Managing Water for Tomorrow’s Agriculture. Congressional staff delegation meeting. Purdue University, West Lafayette, IN. Aug. 24, 2017. Frankenberger, J. Soil Drainage. Indiana Horticulture Congress. Jan. 11, 2017. Frankenberger, J. Transforming Drainage: Retaining Water for Increased Resiliency. Indiana Land Improvement Contractors Association Annual Convention. Jan. 25, 2017. Frankenberger, J. Improving Crop Yields and Water Quality through Drainage Water Recycling. Indiana Soybean Alliance Board of Directors. Feb. 13, 2017. Frankenberger, J. Conservation Practices to Nutrient Losses from Drained Agricultural Land. North Central Agricultural and Natural Resources Academy. W.K. Kellogg Biological Station, Hickory Corners, MI. Sep. 13, 2017. Frankenberger, J. Managing Water for Tomorrow’s Agriculture. Purdue In the Know. Purdue Alumni Association. Sep. 21, 2017. Frankenberger, J. Ways to Reduce Nitrate. Putnam County (IN) Extension Workshop. Dec. 13, 2017. Frankenberger, J. The Need for Water Storage in the Drained Landscape. Rethinking Drainage to Provide 21st Century Solutions. The Nature Conservancy. Kokomo, IN. Jun. 22, 2017. Frankenberger, J. Drainage Water Recycling. Greenley Research Center Field Day. Novelty, MO. Aug. 7-8, 2017. Frankenberger, J. and A. Locker. 2017 Drainage Management Extension Forum: Telling the Story. 2017 NCERA-217/ADMS Annual Meeting. Champaign, IL. Mar. 29 - 30, 2017. Frankenberger, J. and B. Clark II. Water Quality: Surface and Subsurface Practices for Contractors. CONEXPO-COGG International Construction Trade Show. Las Vegas, NV. Mar. 10, 2017. Frankenberger, J. Managing Drainage for Resilient Agriculture. Indiana Certified Crop Advisors Conference. Indianapolis, IN. Dec. 13, 2016. Frankenberger, J. Indiana Department of Natural Resources Annual Meeting. Indianapolis, IN. 10, 2016. Frankenberger, J. Indiana Seed Trade Association. West Lafayette, IN. Jun. 29, 2016. Frankenberger, J. Soil, Water, and Cropping Systems Forum: How Purdue is Moving Ag Forward in Sustainable Ways. Danville, IN. Nov. 18, 2016. Hay, C. Opportunities in Conservation Drainage. ACWA Elk Run Field Day. Breda, IA, Jun. 7, 2017. Hay, C. Managing drainage with control structures. Drainage Water Quality Practices Design Workshop. Fort Dodge, IA. Dec. 15, 2016. Hay, C. Conservation Drainage. Environmental Policy Course, University of Iowa. Mar. 14, 2017. Hay, C. Opportunities in Conservation Drainage. Iowa Drainage School. Nashua, IA, August 24, 2017. Hay, C. Iowa Nutrient Reduction Strategy: A coordination strategy for reducing nutrient loading and improving water quality. Iowa One Health Conference. Iowa City, IA. Nov. 5, 2016. Hay, C. Conservation Drainage Iowa State University Extension and Outreach Drainage Workshop. Eddyville, IA. Mar. 3, 2017. Helmers, M. Woodchip bioreactor sizing and layout. Drainage Water Quality Practices Design Workshop. Fort Dodge, IA. Dec. 15, 2016. Helmers, M. In-field and edge-of-field agricultural best management practices for nutrient reduction. Dubuque Watershed Management Symposium. Dubuque, IA. Feb. 09, 2017. Helmers, M. Iowa Nutrient Reduction Strategy. Farm Business Association Annual Conference. Des Moines, IA. Jun. 15, 2017. Helmers, M. Farmland Drainage Workshop. Mar. 3, 2017. Helmers, M. Design for Drainage Water Management. Iowa Drainage School. Nashua, IA. Aug. 24, 2017. Jaynes, D. Saturated Buffers. 2017 Iowa LICA Midwest Expo and Field Day. Melbourne, IA. Jul. 26, 2017. Jaynes, D. Site selection and design of saturated buffers. 2017 Iowa Watershed Academy. Boone, IA. May 10, 2017. Jaynes, D. Site selection and design of saturated buffers. Drainage Water Quality Practices Design Workshop. Fort Dodge, IA. Dec. 15, 2016. Jaynes, D. Saturated Buffers and Denitrifying Bioreactors. Greenley Research Center Field Day. Novelty, MO. Aug. 7-8, 2017. Jaynes, D. Design and Function of Saturated Buffers. Midwest Expo and Field Day. Iowa LICA. Melbourne, IA. Jul. 26, 2017. Jaynes, D. Saturated Buffers. Soil and Water Conservation Week Field Day. Madrid, IA. May 4, 2017. Jia, X. Managing water for increased resilience of drained agricultural landscapes. Red River Basin Commission Annual Meeting. Fargo, ND. Jan. 17-19, 2017. Jia, X. Advanced evapotranspiration measurement. Xinjiang Academy of Forest Sciences. Urumqi, Xinjiang, China. Jun. 5, 2017. Jia, X. Best water management for a healthy environment and a profitable crop production. Xinjiang Agricultural Vocational and Technical College. Changji, Urumqi, Xiniiang, China. Jun. 6-8, 2017. Nelson, K.A. Subsurface drip irrigation for water recycling. Drip Irrigation Field Day. Truxton, MO. Aug. 18, 2017. Nelson, K.A. Subirrigation. Iowa Drainage School. Nashua, IA. Aug. 23, 2017. Nelson, K.A. Drainage water management for improved water quality and increased food production. Missouri Agriculture Leaders of Tomorrow. Jul. 13, 2017. Nelson, K.A. Agronomy Update. Shelby County Ag. Leaders. Sep. 6, 2017. Poole, C. Yield and Water Quality Benefits of Drainage Water Management and Drainage System Design Research in North Carolina. Eastern North Carolina Agricultural Water Management Workshop. Plymouth, NC. Feb. 24, 2017. Poole, C. Design criteria for drainage, controlled drainage, and sub-irrigation systems in North Carolina. Eastern North Carolina Agricultural Water Management Workshop. Plymouth, NC. Feb. 24, 2017. Reinhart, B. Drainage water recycling: Opportunities and benefits Michiana Irrigation Association 2016 Annual Meeting. Shipshewana, IN. Dec. 12, 2016. Strock, J. 6th Soil and Water Management Field Day. Lamberton, MN. Jul. 18, 2017. Strock, J. Field Day. Lamberton, MN. Jun. 13, 2017. Strock, J. Irrigation Field Day. Lamberton, MN. Strock, J. Hydrologic impacts of drainage on crop production in Minnesota. Minnesota Ag Expo. Mankato, MN. Jan. 26, 2017. Anderson, K. Discussion: Transforming Drainage project. Drainage Contractor. Feb. 15, 2017. College of Agriculture, Food & Natural Resources. University of Missouri. 2017. Keeping Nutrients in the Field: Greenley Research Center Helps Farmers Manage Water on Their Fields. Road to Discovery: MU Agricultural Research Centers Magazine. 24-26. Geist, L. MU drainage system increases yields, reduces nutrient runoff. Daily Journal Online, Democrat News. Dec. 28, 2016. 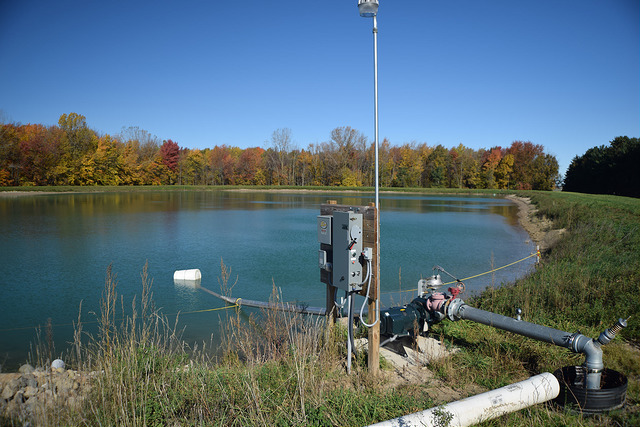 Geist, L. MU drainage system increases yields, reduces nutrient runoff. High Plains/Midwest Ag Journal. Jan. 8, 2017. Gertz Husar, D. Drainage control systems boost corn, soybean yields. Herald-Whig. Jan. 22, 2017. Hart, J. Controlled drainage can boost North Carolina Blacklands' corn yields. Southeast Farm Press. Feb. 15, 2017. Hay, C. Changing perspectives on drainage. Advance: A publication of the Iowa Soybean Association Research Programs. 2017. Hay, C. Transforming Drainage: Managing Water for Tomorrow's Agriculture. Brownfield Ag News. Feb. 14, 2017. Hay, C. Saving the Drainage. WHO Radio: The Big Show. Des Moines, IA. Feb. 22, 2017. Hay, C. 10 ways to reduce nitrogen loads from drainage — No. 6 will shock you! Advance: A publication of the Iowa Soybean Association Research Programs. 2016. Hay, C. Radio interview on South Dakota Public Broadcasting Radio Dakota Midday Show. South Dakota Public Broadcasting Radio. Apr. 2, 2015. Helmers, M., L. Abendroth, L. Laws, and E. Adcock. Iowa State University Studying Water Storage to Benefit Crops, Waterways. Iowa State University, College of Agriculture and Life Sciences. Apr. 28, 2015. Herrold, B. Drainage, water recycling offer opportunities. Missouri Farmer Today. 2017. Herrold, B. Long-term tile investment raises yields. Missouri Farmer Today. Nov. 23, 2016. 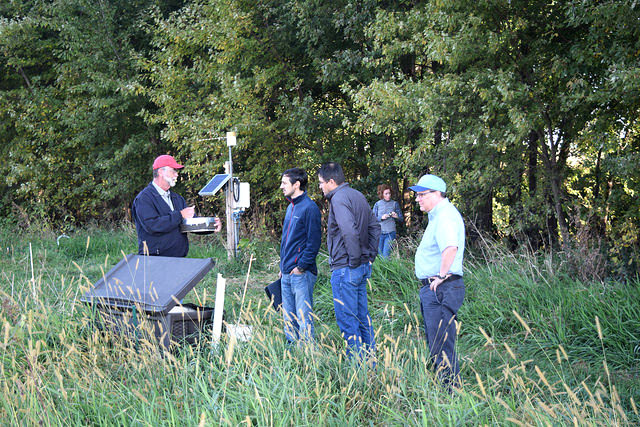 Iowa State scientists add to knowledge of phosphorus dynamics. Iowa State University College of Agriculture and Life Sciences. Jun. 21, 2017. 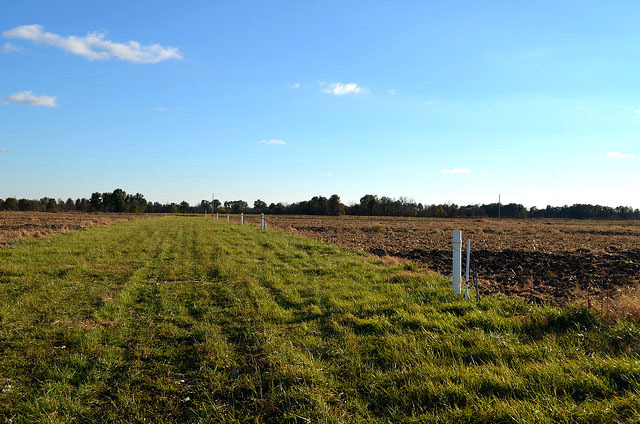 Jackson, L. Battling Soil Saturation: Poorly drained soils cause headaches for landowners. College of Agriculture, Food & Natural Resources. University of Missouri. 2017. Jackson, L. A New Beginning: More than 400 guests attend Greenley field day. College of Agriculture, Food & Natural Resources. University of Missouri. 2017. Jaynes, D. Conservation Q&A: Saturated Buffer. Iowa Farm Bureau. Aug. 25, 2015. Jia, X. Radio interview. AgNews 890. Jul. 13, 2015. Jones, M. Deep-rooted poplars may expand saturated buffer opportunities. Advance: A publication of the Iowa Soybean Association Research Programs. 2017. MU drainage system increases yields, reduces nutrient runoff. Bolivar Herald-Free Press. Jan. 14, 2017. MU drainage system increases yields, reduces nutrient runoff. Buffalo Reflex. Dec. 27, 2016. MU Research: Drip irrigation nets higher yields. University of Missouri Extension. Nash, P.R., P.P. Motavalli, K.A. Nelson., and R.J. Kremer. Ammonia and nitrous oxide gas loss with subsurface drainage and polymer-coated urea fertilizer in a poorly-drained soil. Greenley Research Center Field Day Report. Nelson, K. MU drainage system increases yields, reduces nutrient runoff. University of Missouri Extension. Dec. 21, 2016. Nelson, K. MU drainage system increases yields, reduces nutrient runoff. The Caldwell County News. Dec. 26, 2016. Petherick, A. Capturing Nitrogen: Research is establishing installation guidelines for buffer strips. Drainage Contractor. Nov. 2017. Petherick, A. Retaining Water: Addressing excess nutrient loading through water retention. Drainage Contractor. Nov. 2017. Purdue leading research to improve water management on farms. Purdue University. Agriculture News. Mar. 19, 2015. Saturated Buffers: A nutrient removal option for farmers. Conservation Districts of Iowa and the Soil and Water Conservation Society. 2017. University of Missouri Extension. Combo of drainage, subirrigation can cut costs, increase yields. Drainage Contractor. Jan. 3, 2017. Jaynes, D, M. Tomer, D. James, and S. Porter. 2017. ACPF Watershed Database Saturated Buffer Viewing. USDA-ARS. Transforming Drainage. Dec. 18, 2015. Web. Frankenberger, J. Transforming Drainage Through a Collaborative Research, Extension, and Stakeholder Network. North Central Region Water Network. Apr. 19, 2017. Frankenberger, J. and C. Schafer. Transforming Drainage: Managing Water to Improve Crop Yields and Water Quality. Partnership for Ag Resource Management. Nov. 30, 2017. Frankenberger, J. 2016. Protecting the Source, Providing for All. Rotary World Affairs Conference. Ft. Wayne, IN. Nov. 10, 2016. Frankenberger, J. Managing Water for Increased Resiliency of Drained Agricultural Landscapes. North Central Region Water Network Webinar Series. May 13, 2015. 60 Attendees. Hay, C. Advancing conservation drainage in Iowa. North Central Region Water Webinar Series. Apr. 19, 2017. Jaynes, D. Saturated Buffers. Ag Drainage Water Management Webinar Series. Oct. 21, 2015. 77 Attendees. Jaynes, D. 2017. Saturated Buffers and the Conservation Reserve Program-Nutrient Reduction Effectiveness. USDA-FSA Webinar. Apr. 25, 2017. Frankenberger, J. Drainage. ABE 325: Soil and Water Conservation Engineering. Purdue University. Nov. 3, 2016. Frankenberger, J. Agriculture and water quality – How can we reduce nutrient loads in Midwestern watersheds? AGRY 120: Water and Food Security. Purdue University. Nov. 15-17, 2017. Frankenberger, J. Reducing nutrient loads in drained agricultural land. AGRY 290: College of Agriculture Dean's Scholar Seminar. Purdue University. Oct. 4, 2017. Frankenberger, J. Drainage. ASM 336: Environmental Systems Management. Purdue University. Nov. 16, 2016. Frankenberger, J. Drainage. ASM 336: Environmental Systems Management. Purdue University. Nov. 21, 2016. Strock, J. Soil Water Content and Soil Water Potential. SOIL 2125: Basic Soil Science. University of Minnesota. Jaynes, D. and F. Brooks. Quantifying the Effectiveness of Installing Saturated Buffers on Conservation Reserve Program to Reduce Nutrient Loading from Tile Drainage Waters. Farm Service Agency. Order No. AG-3151-P-16-0225. Apr. 2017. Nash, P.R., K.A. Nelson, P.P. Motavalli, and S.H. Anderson. Corn yield response to managed drainage and polymer-coated urea. Greenley Research Center Field Day Report. Nash, P.R., K.A. Nelson, and P.P. Motavalli. Corn response to drainage and fertilizer on a poorly-drained river bottom soil. Greenley Research Center Field Day Report. Nelson, K. Corn Yield Variability of Drainage and Subirrigation Systems in a Claypan Soil. Greenley Memorial Research Center Field Day Report. 125-128. Nelson, K. Soybean Yield Variability of Drainage and Subirrigation Systems in a Claypan Soil. Greenley Memorial Research Center Field Day Report. 113-117. Nelson, K. and D. Harder. MU Drainage and Subirrigation (MUDS) Research Update for Claypan Soils: 2002-2016. Greenley Memorial Research Center Field Day Report. 100-112. Nelson, K.A., C.J. Dudenhoeffer, and D. Harder. MU Drainage and Subirrigation (MUDS) update for 2002-2014. 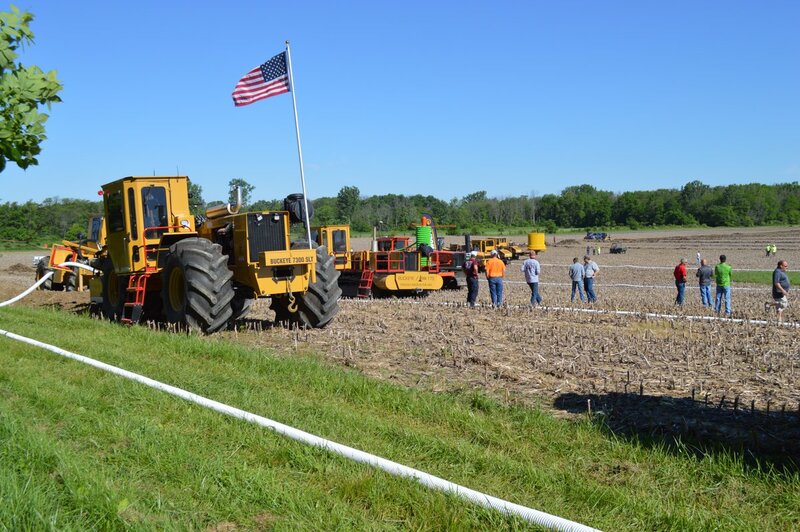 Greenley Research Center Field Day Report. Nelson, K. and D. Harder. Effects of Drainage Tile Depth and Spacing on Crop Response to Free Drainage and Drainage Water Recycling. Greenley Memorial Research Center Field Day Report. 91-95. Nelson, K., D. Harder, and M. Mungyeko-Mayola. Corn Response to Drainage Water Recycling in a Blackoar Silt Loam. Greenley Memorial Research Center Field Day Report. 150-151. Ahiablame, L. and P. Sexton. Evaluation of use of a winter rye as a cover crop after both corn/soybean to limit nitrate losses and improve soil quality. USDA-NRCS Conservation Innovation Grant. 07/01/2017-06/30/2020. Frankenberger, J., A. Kaleita, M. Helmers, R. Cooke, L. Christianson, M. Gitau, W. Burgess, C. Hay, S. Sritharan. 2017 Filling the Pipeline: Transforming Agricultural Drainage Education to Meet 21st Century Water Management Needs. USDA NIFA Higher Education Challenge Grant. Funded. Helmers, M., M. Aide, L. Abendroth, S. Archontoulis, C. Hay, B. Sohngen, D. Todey, E. Ghane, E. Kladivko, J. Frankenberger, J. Strock, K. Nelson, L. Bowling, L. Christianson, M. Tomer, R. Cooke, S. Jacquemin, and X. Jia. Drainage Water Recycling Systems: Sustainably Securing and Managing Water in Agricultural Production. USDA-NIFA. Agriculture and Food Research Initiative. Under Review. Wetzstein, L. Bowling, K. Cherkauer, J. Frankenberger, L. Prokopy, and N. Thompson. 2017 Does crop insurance inhibit climate-change irrigation-technology adaptation? USDA-NIFA. Funded. Rashid, A., and X. Jia. Crop evapotranspiration measurement by eddy covariance, Bowen ratio, and soil water balance for a control drained and subirrigated field. North Dakota Water Resources Research Institute. 3/1/2017 – 2/28/2018. Funded. Chockley, T. 2017. Irrigation Reservoir Evaluation for a proposed Irrigation Reservoir on the Grace Greenley Farm, Knox County, Missouri. Greenley Memorial Research Center Field Day Report. 70-74. Comstock, M. 2017. Irrigation Reservoir Design Summary for a Proposed Irrigation Reservoir on the Grace Greenley Farm, Knox County, Missouri. Greenley Memorial Research Center Field Day Report. 61-65. Ecosystem Services Exchange. 2017. Subirrigation Plan for MU Greenley Research Center. Greenley Memorial Research Center Field Day Report. 75-90. Ecosystem Services Exchange. 2017. Saturated Buffer Plan for MU Greenley Research Center. Greenley Memorial Research Center Field Day Report. 17-27. Rosenfelder, A.J. 2017. Geologic Considerations for a Proposed Irrigation Reservoir on the Grace Greenley Farm, Knox County, Missouri. Greenley Memorial Research Center Field Day Report. 66-69.